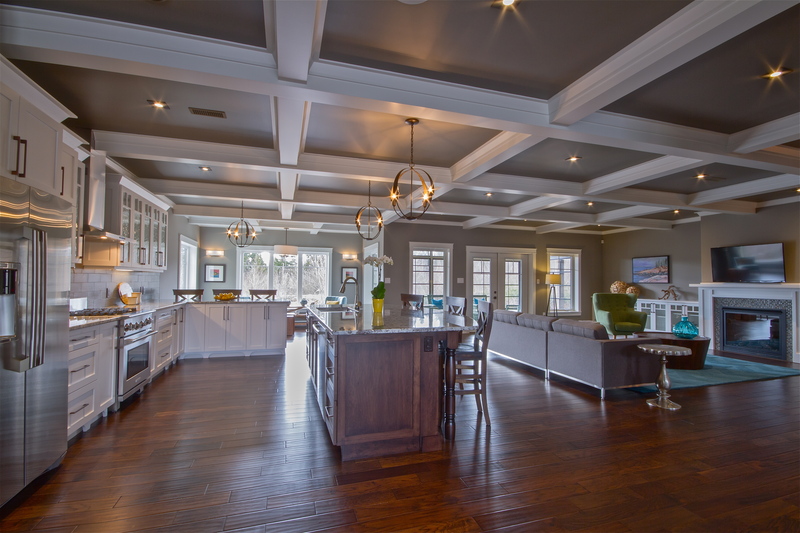 Nature Ridge Homes will be participating in the Nova Scotia Home Builders Association PARADE OF HOMES. Our Show Home, located at 112 Sugarwood Court Porters Lake, will be OPEN TO THE PUBLIC Sunday May 24th, Sunday May 31st and Sunday June 7th from 12:00pm – 4:00pm. Designed to embrace nature inspired living and the classic craftsman architectural style, our new Show Home features extensive private outdoor living space in a 3 season sunroom and two covered decks. Some other highlights of this energy efficient home include coffered ceilings, a theatre room, an eight foot walk-in ensuite shower, and an open concept kitchen/dining room/great room with a ten foot island and gorgeous fireplace. Finishes like shaker style cabinets, glass subway tiles and hand scraped hickory hardwood floors blend together beautifully to create a feeling of warmth and refinement.